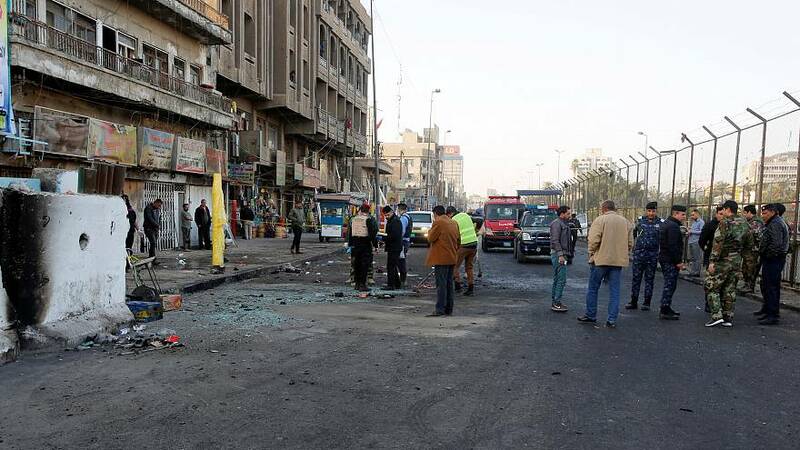 Iraqi officials say two suicide bombers blew themselves up at a busy market in the centre of the Iraqi capital Baghdad, killing at least 38 people and wounding at least 105. The bombers struck during rush hour on Monday morning in a commercial area. The interior ministry said two men detonated vests packed with explosives. There was no immediate claim of responsibility but the nature of the attack resembles others carried out by the self-styled Islamic State. Iraq declared victory last month over ISIL, which took control of nearly a third of the country three years ago. Militants continue to carry out attacks and bombings in different areas. Reports say the death toll from Monday's attack would make it the deadliest since the declaration of victory in December.